Csepli Machine Company is a complete machining and design facility that specializes in all aspects of the cosmetic and pharmaceutical packaging industries. Although these fields are our specialty, we also serve many other industries that we have listed on our services page. 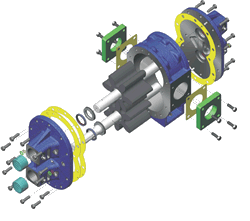 Our services range from simple machining and design to complex assemblies and machine building. We have been in business since 1983 and we are backed with over a combined 45 years of experience in many areas of the manufacturing industry. We offer to you the utmost in reliability and quality. Check out our facilities list under our capabilities page for more information about our equipment. Send us information on your requirements , and we will produce it for you. We can work from sketches, blueprints, virtually any CAD file, samples, and verbal instructions. 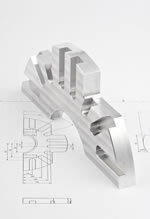 We have a state of the art facility and can assist you with all of your design and machining needs .